Deb's Cup of Tea: Yet another "hmmmm"
In case you're wondering, it's still pretty much intact in my compost pile. I have it nearly covered with fruit and vegetable detritus but you can tell it's a bag. 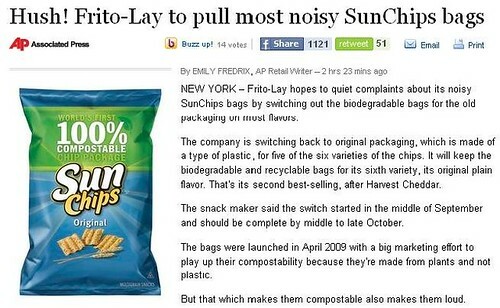 Maybe "compostable" is used in the loosest of terms. Sure it's compostable if left to sit for 100 years, but that's not efficient as far as I'm concerned.